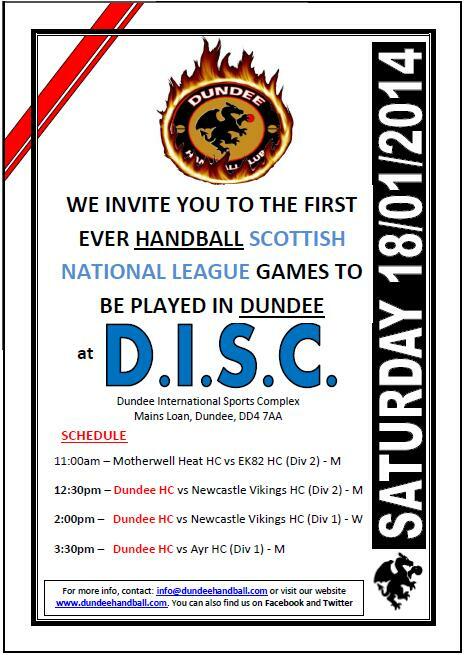 Dundee Handball Club was formed in 2011 by Jamie Lau and Stelios Nikolaou as a result of the need for the sport in Dundee by foreign players. 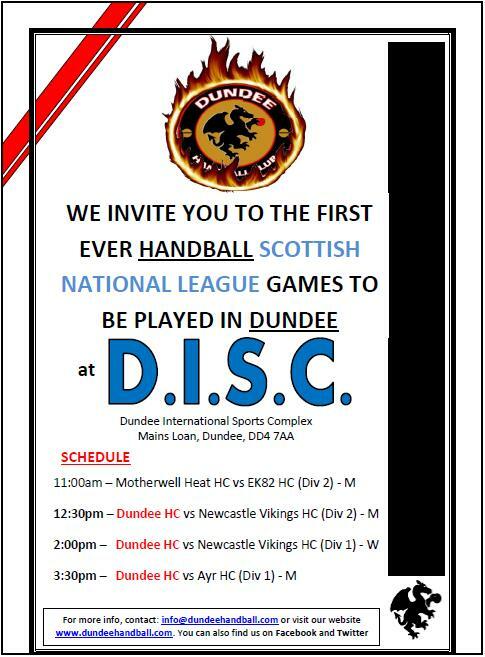 The club began with only a men's team which made their way all the way to the Scottish Cup Final. The success of finishing second in that final helped pave the way to form a women's team the following season and also another men's team this time taking part in the second division the season after.